In memoriam of Ezio Bassani. “Ex Africa semper aliquid novi“, “out of Africa, always something new“—those were the words written by Pliny the Elder in ‘Naturalis Historia’ and this is the starting point of Ex-Africa, an exhibition that aims to tell the story of how African and European events have, and continue to cross paths—from classical antiquity to present day contemporary creations. 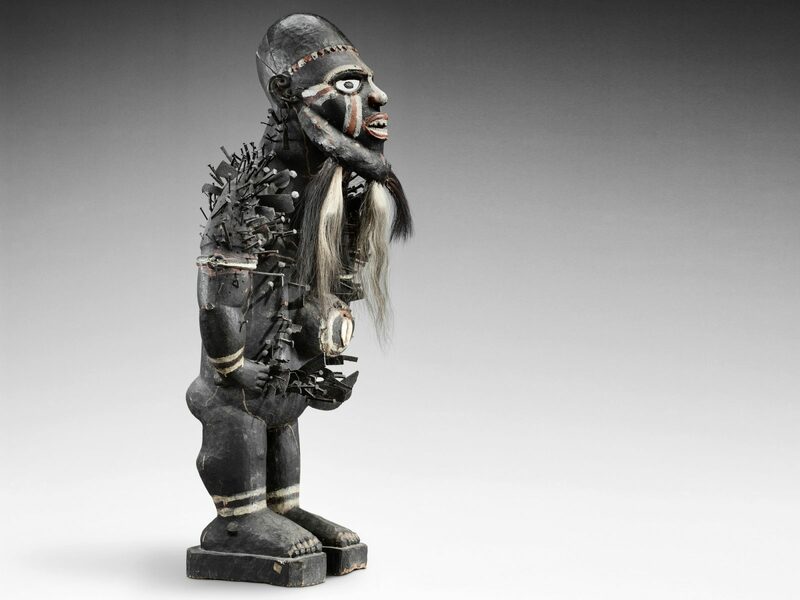 The exhibition, curated by Gigi Pezzoli and the late Ezio Bassani (to whom the exhibition is in memory of, a man who deserves to take credit for spreading the knowledge of African art across the Italian peninsula), and produced and organised by CMS Cultura, explores the histories of African art, identities, travels and encounters. With contributions from both Italian and international scholars, including Pierre Amrouche, Alessandra Brivio, Bernard De Grunne, Armand Duchateau, Micol Forti, Malcolm McLeod, François Neyt, Anne Vanderstraete, and myself, ‘Ex-Africa’ is divided into nine sections. 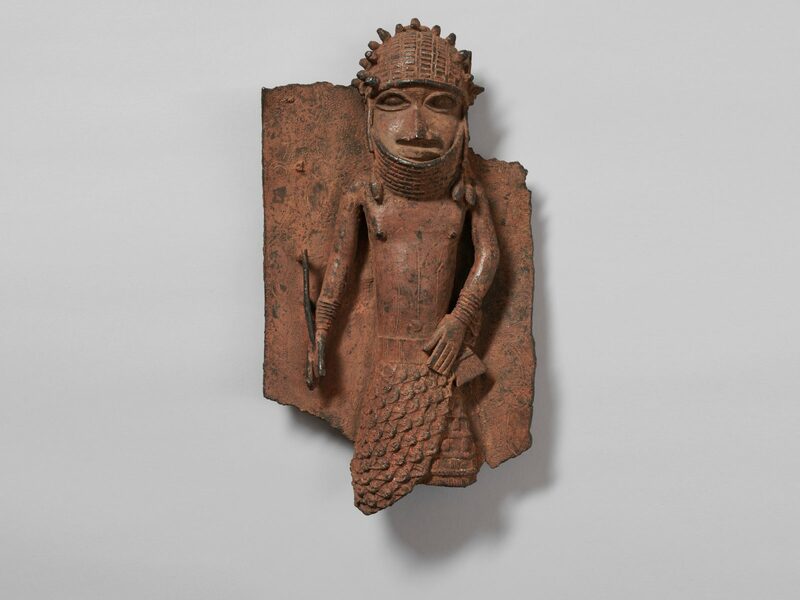 Combined, the sections explore the formal quality expressed by large and small works of ancient objects from renowned African kingdoms, together with masks and figures representing rituals and power. Conceived by Ezio Bassani, Gigi Pezzoli, and Elio Revera. 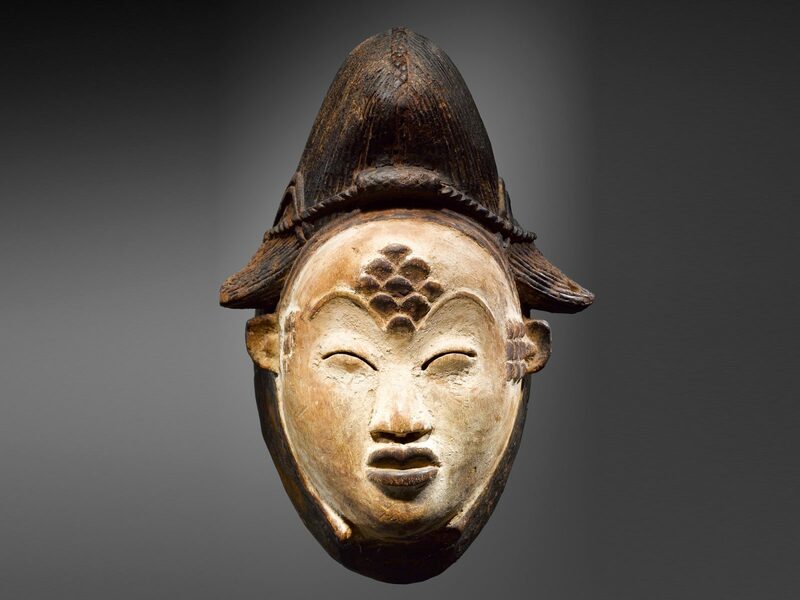 This section of the exhibition presents a wide selection of figures and masks from important European museums and from the most celebrated private collections. Alongside imposing objects, ‘Semplicemente Arte’ presents bronze miniatures once used to weigh gold dust. 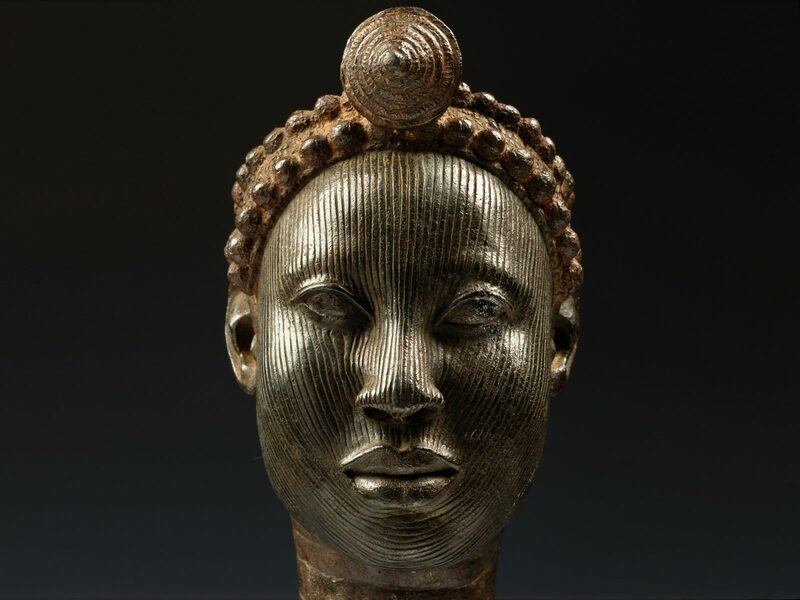 While curating ‘Semplicemente Arte’, I wanted to tackle the theme of ‘iconic identity’ in African art. Such images express an autonomous iconic statute, as meaningful, powerful and enlivened, and in some cases even more so, than those conveyed by European classical artistic imagery. Conceived by Bernard De Grunne and Armand Duchateau respectively. The section ‘An Ancient Art. 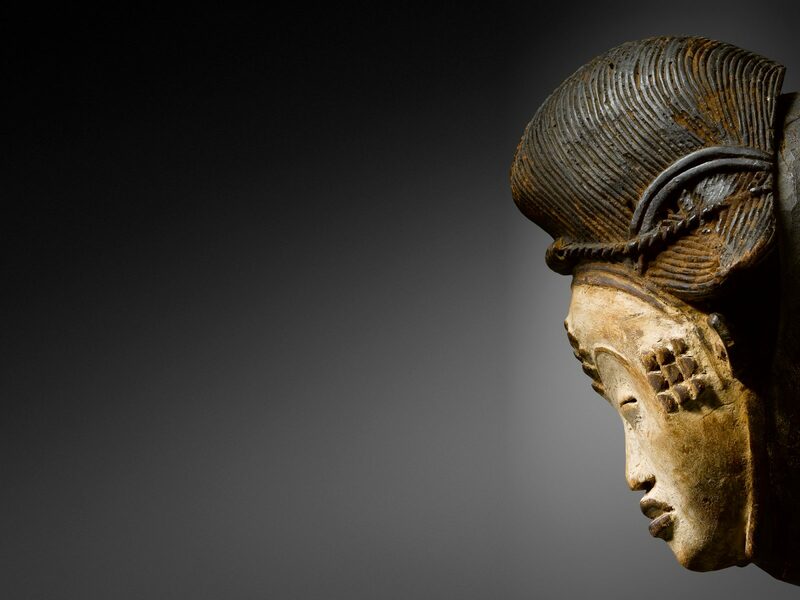 Mande Case: 1,000 years of Art in Mali’, features the most important medieval African wooden and terracotta sculptures, dating back to the eleventh century. 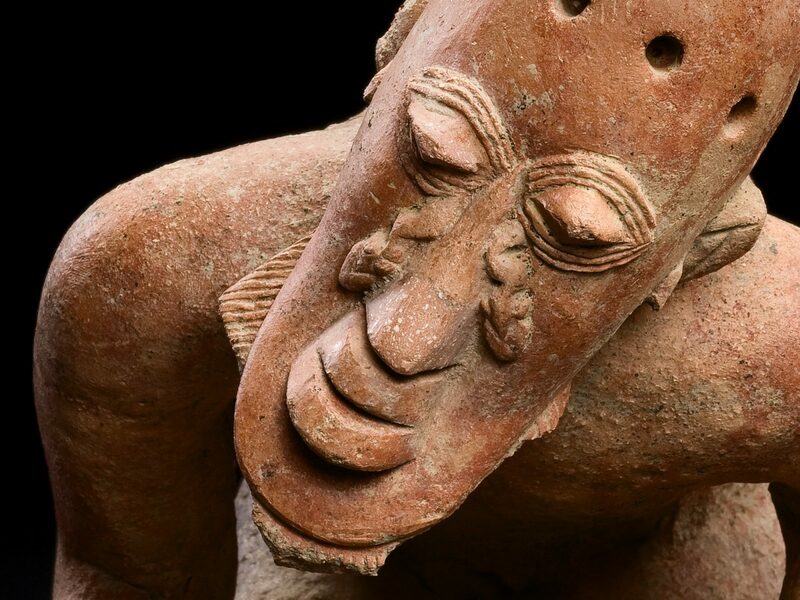 From Tellem and Dogon peoples, ‘An Ancient Art’ presents the important testaments to the statuary heritage of a fascinating time in the middle ages. 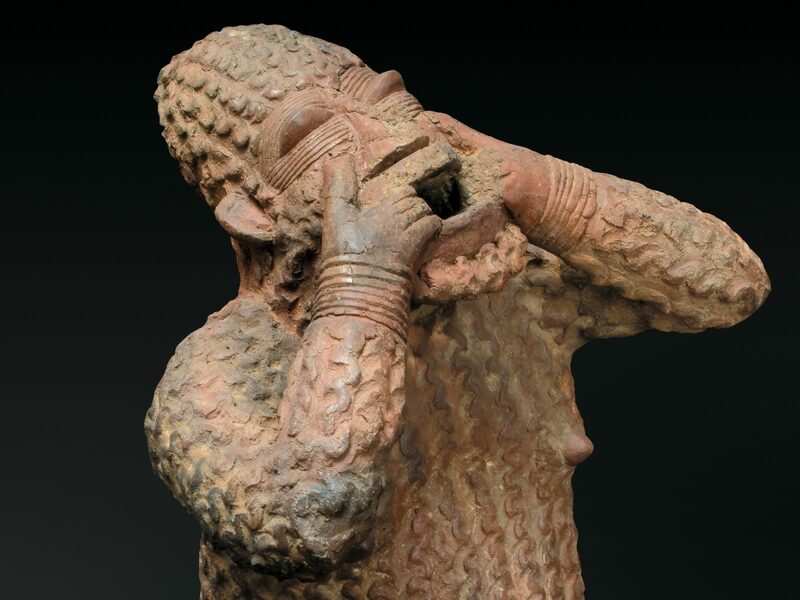 ‘A Courtly Art’ features an extraordinary selection of treasures from the ancient city of Ife and bronzes from the Royal Palace of the Kingdom of Benin, a palace that was described in 1668 as “elegant, with large arcades like those of the Amsterdam Stock Exchange, upheld by columns decorated with skilfully cast metal plaques“. Conceived by Ezio Bassani, Gigi Pezzoli, Pierre Amrouche, and Bernard De Grunne respectively. 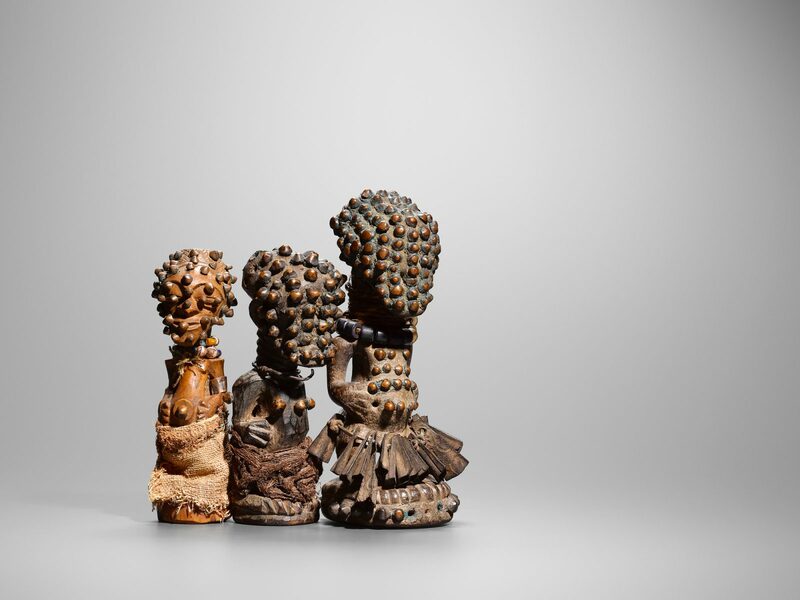 A selection of refined and ancient works, including salt cellars, spoons, hilts, pyxides, and olifants from the fifteenth and sixteenth century, are displayed in the section of ‘Afro-Portuguese Ivories’. 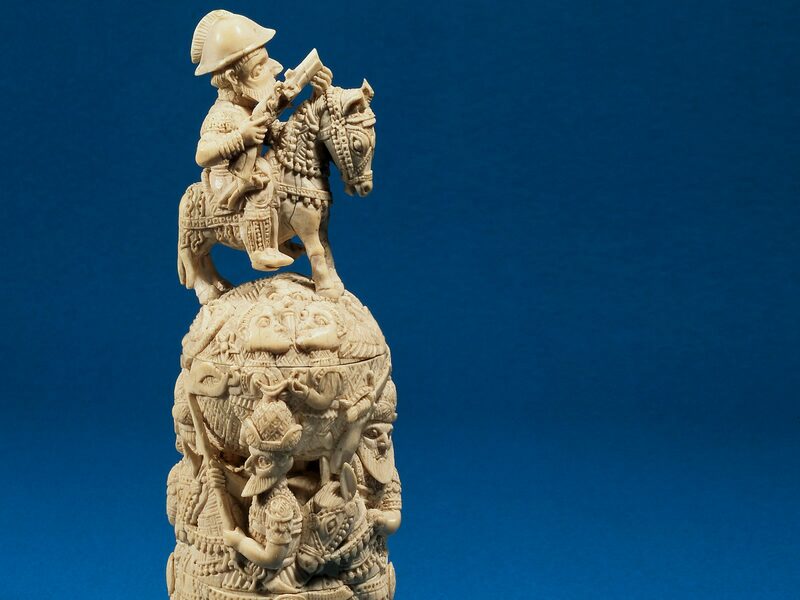 Intended for royal collections and European cabinets of curiosities, these objects of ivory were commissioned by Portuguese sailors from African artists. 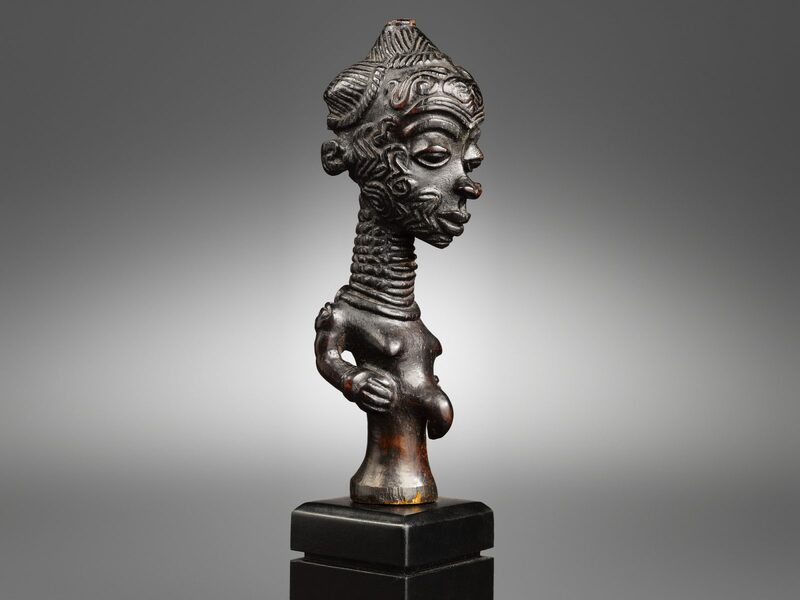 The section ‘Black Sculpture’, conceived by Gigi Pezzoli, re-proposes the first pioneering exposition of African art in Italy, organised at the Padiglione Italia during the Venice Biennale in 1922. 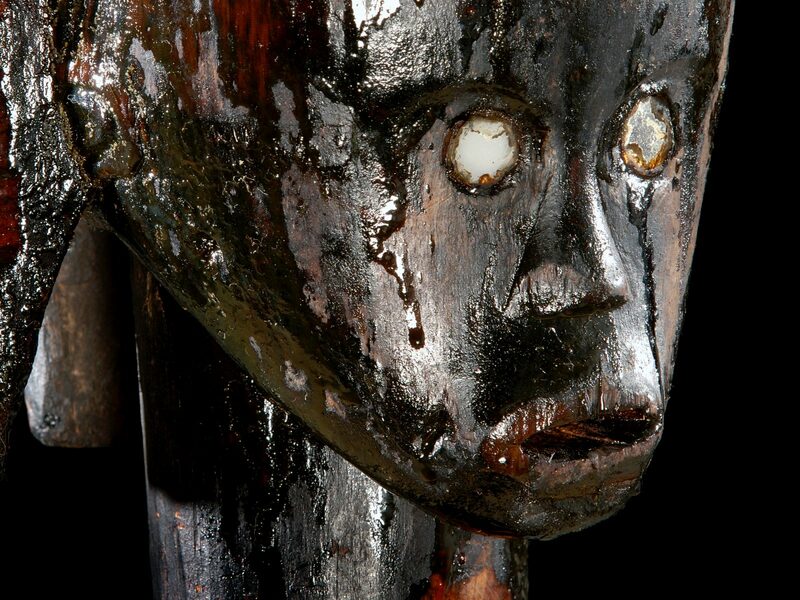 Pierre Amrouche’s ‘A Different Kind of Aesthetic’ explores order and disorder in Vodun art. 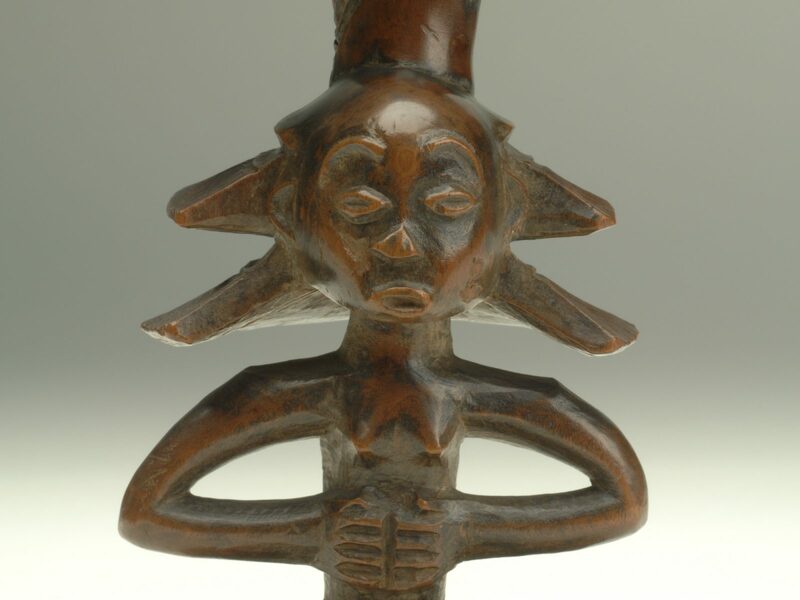 Vodun art is a material artistic expression—accumulative and saturated with sacredness, Vodun art constantly reinvents itself through religious artworks that connect past and present. 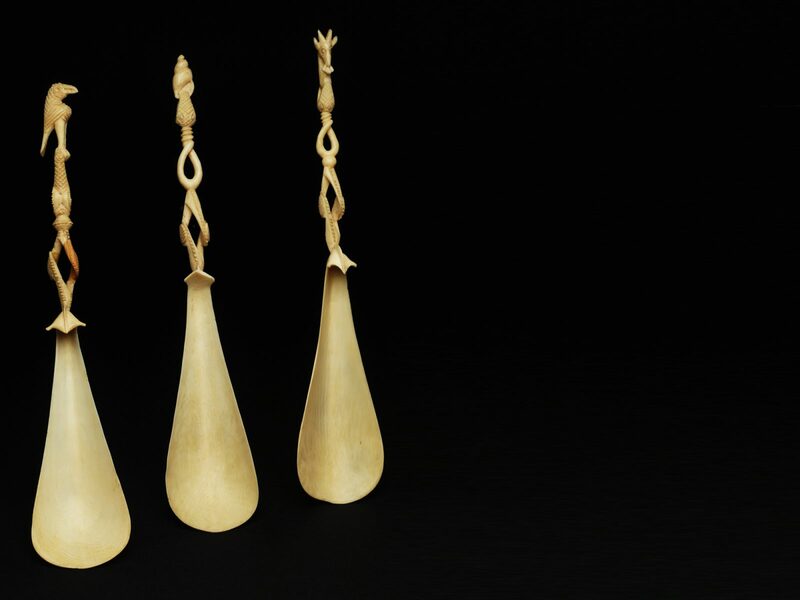 A selection of pieces never before exhibited in Italy will be on display for the first time in this section of the exhibition. In ‘Not an Anonymous Creation but Art by Artists’, Bernard De Grunne introduces examples of identified artistic personalities or specific ateliers. 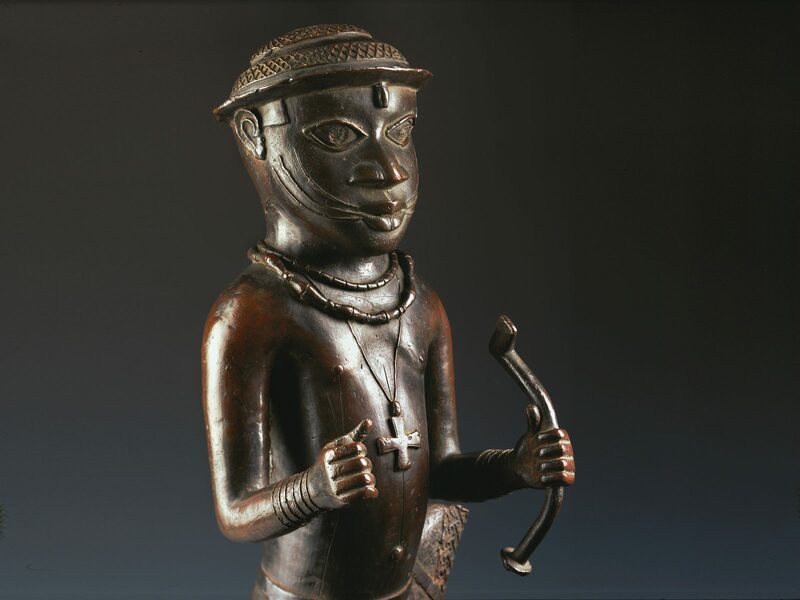 For a long time, historical African art was considered the anonymous expression of generic collective knowledge, art without authors. 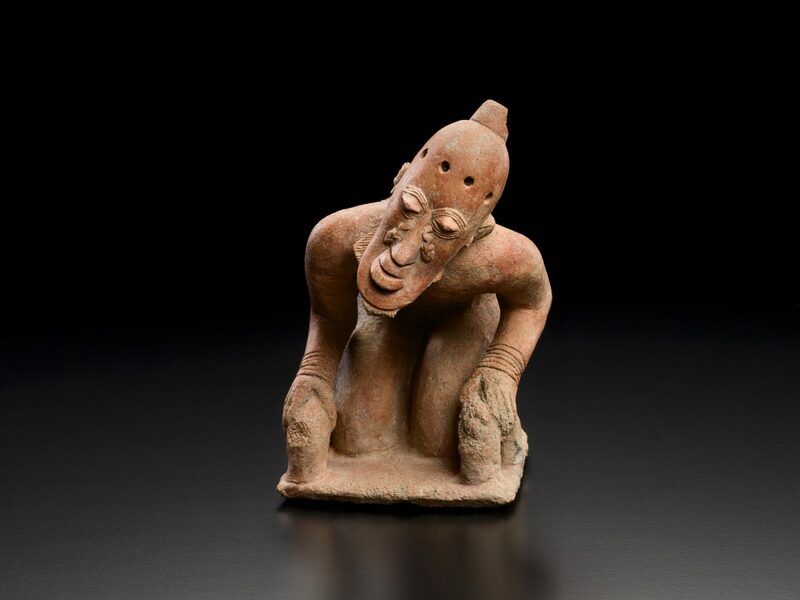 To overcome this stereotype, this section of the exhibition identifies certain ‘master hands’. 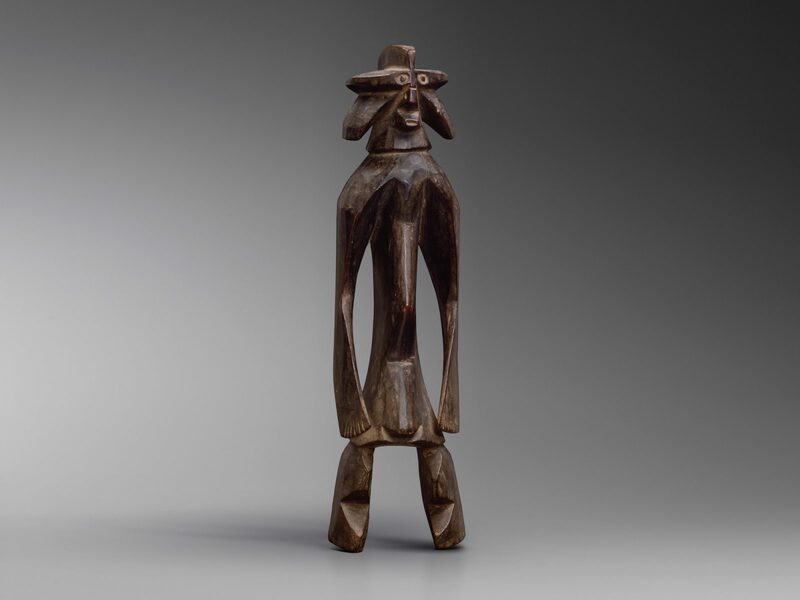 ‘The Twentieth Century: Europe Looks to Africa’, is centred around the extraordinary dialogue that took place in the first half of the twentieth century, a dialogue between Western artistic cultures and African visual art called, at that time, Art Nègre. 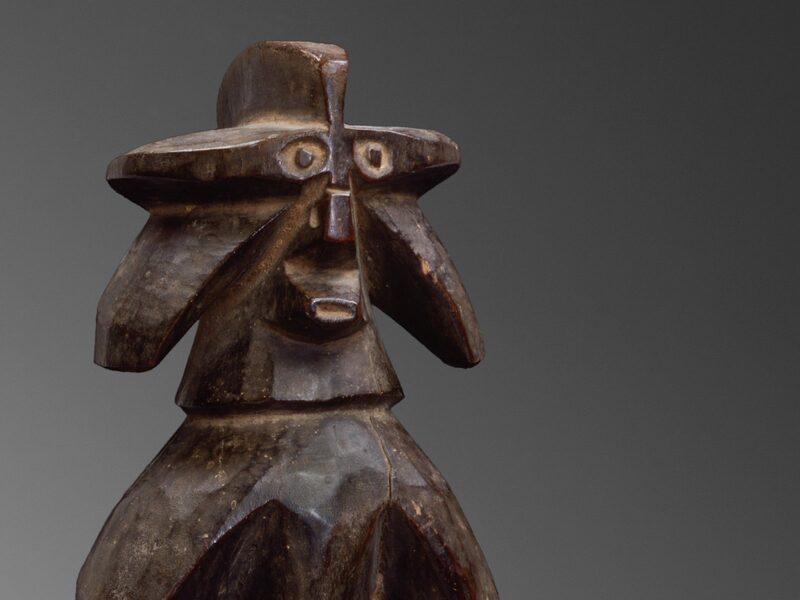 This was a time when avant-garde artists acknowledged the African origin in the shapes, symbolism and spiritual value that influenced their work. 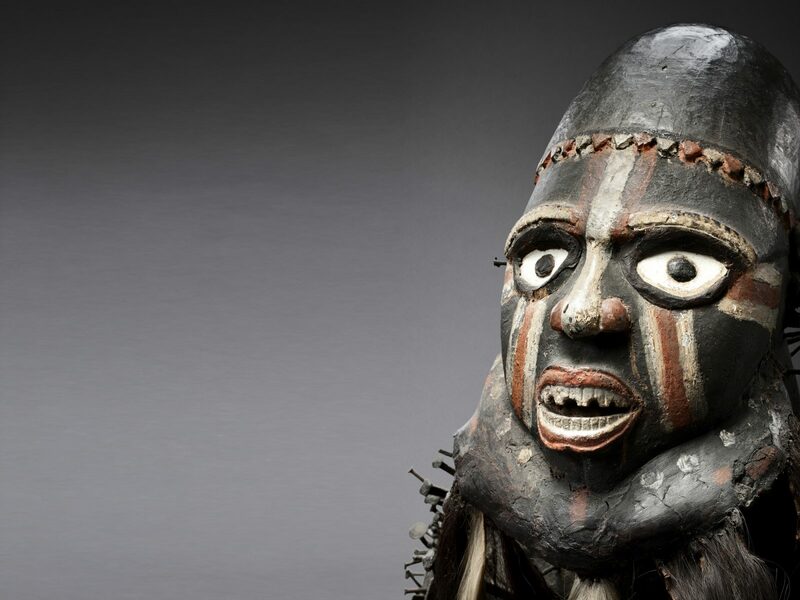 The final section of the exhibition displays artworks created from the dialogue between a cultural and spiritual heritage intertwined—and sometimes in conflict—with the Western gaze. 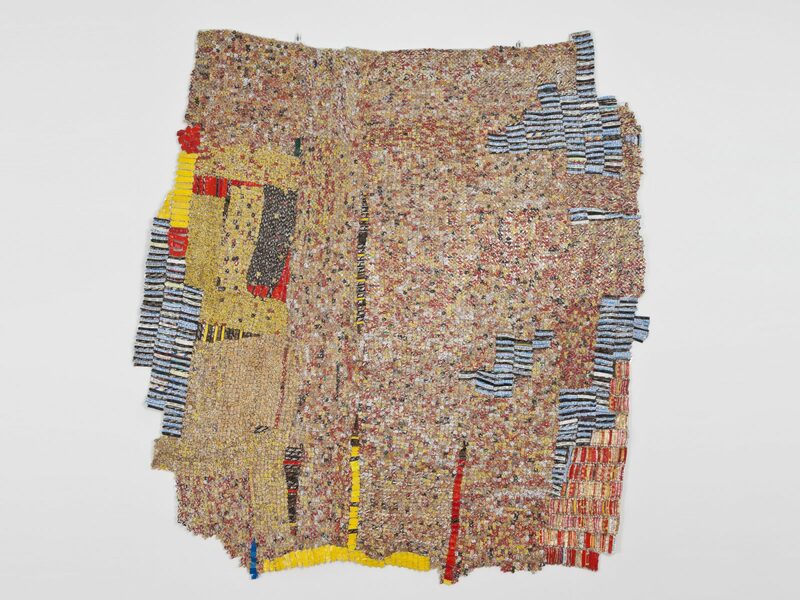 These are contemporary works affirming a precise identity without denying the possibility of contamination. 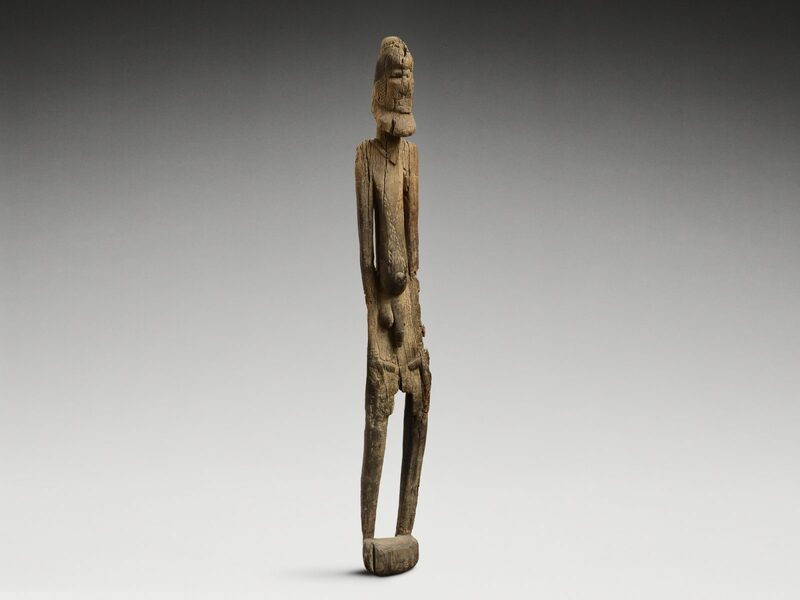 ‘Ex-Africa’ was made possible thanks to the collaboration of some of the most important international museums and private collections, from which the over 270 works on display come. 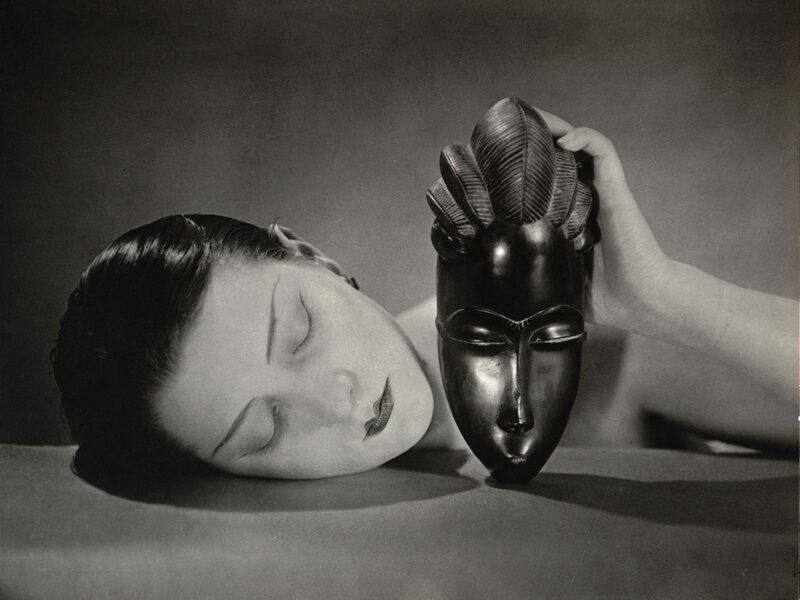 The exhibition will be accompanied by a catalogue edited by SKIRA, Milan. 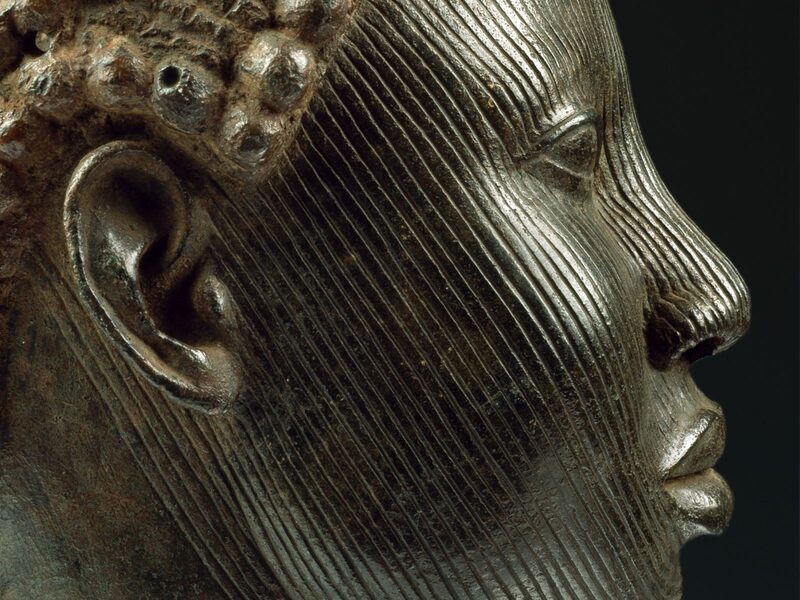 Ex-Africa runs at the Museo Civico Archeologico in Bologna from March 29 until September 8, 2019. Elio Revera is a sociologist and Cultural Anthropology lecturer at the Universita Statale of Brescia. 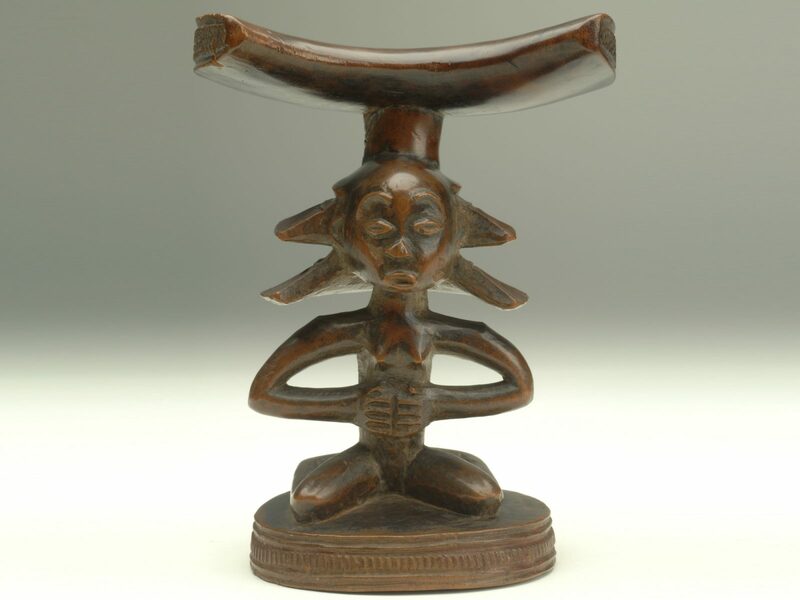 A passionate collector of African art objects, he is also a member of the Chamber of Professional Experts. 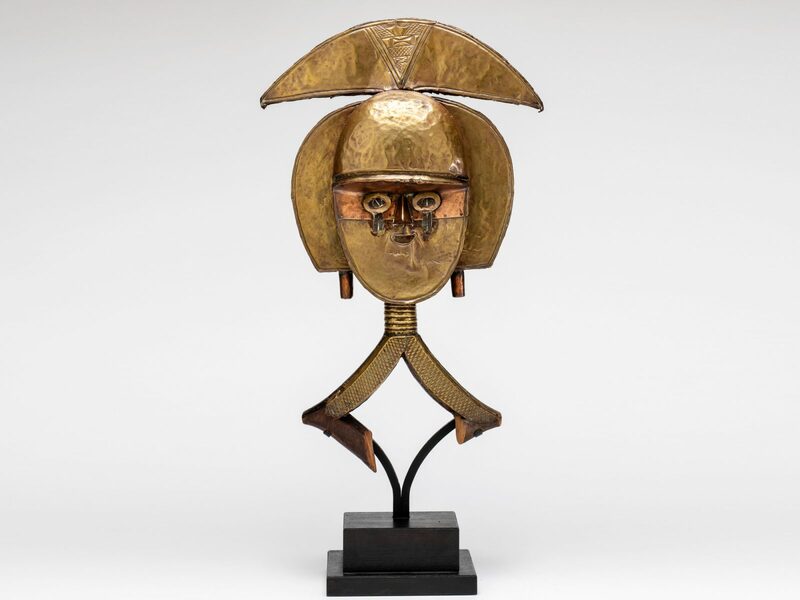 Objects from his collection have been published and exhibited in several public and private expositions in Italy, Europe and in the United States. 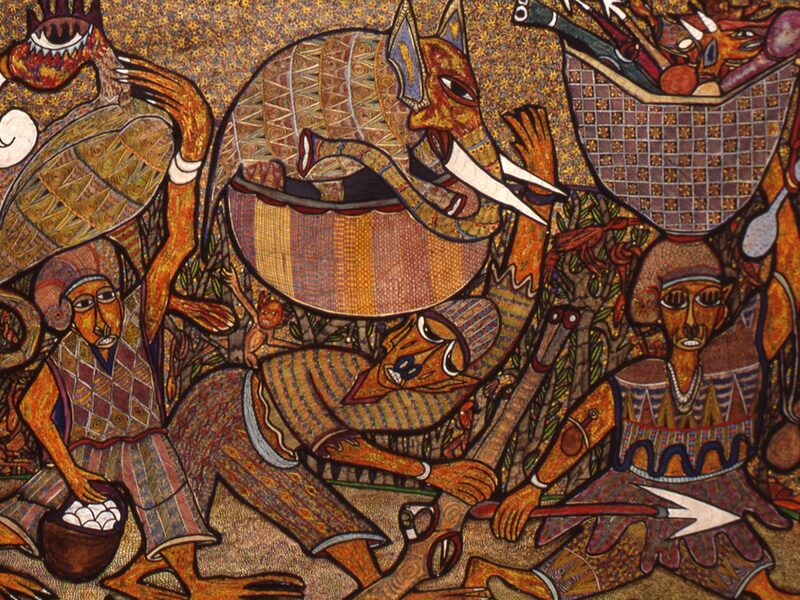 He regularly publishes African art articles on artidellemaninere.com. For Ex-Africa exhibition catalogue, edited by Skira, he wrote the brief essay La forza delle immagini, together with the texts that caption all the exhibited artworks - more than ninety pieces. Ilaria Pol Bodetto got her History of Art MA in 2017 at the Università degli Studi di Padova. 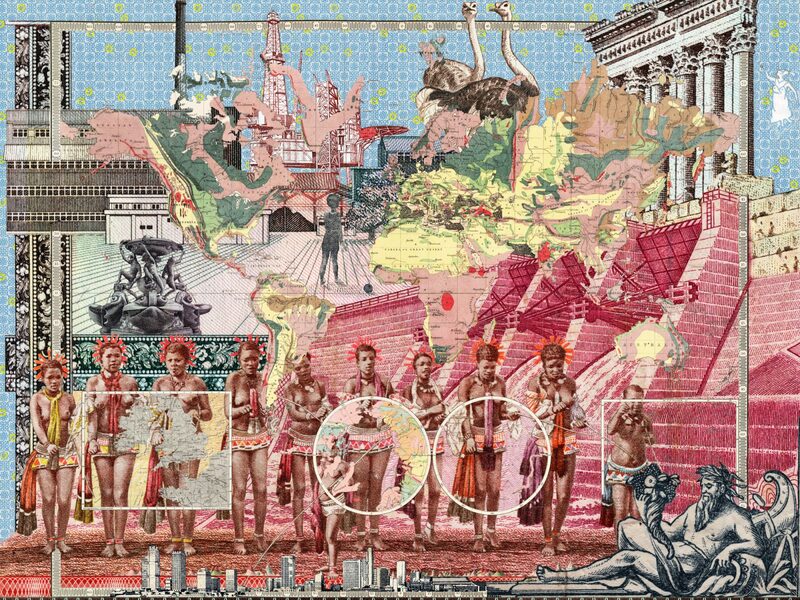 While still at the University, she collaborated with Italian Art History website and online magazine Mostre-rò. In the last few years she has worked in Contemporary Art exhibitions such as Percezione Instabile (Venice, 2016) and in the Raccolte Etnografiche of the MUDEC museum (Milan, 2017), where she developed a strong interest towards the promotion and conservation of non-Western art forms. She is currently getting her second MA in Arts of Asia and Africa at SOAS, London.